When you or someone you love has been injured because of someone else’s negligence normal life can be turned upside down. Medical appointments, unexpected bills, the stress of the unknown all collaborate to destroy your normal routines and leave you in a state of chaos. Add to that the stress of hiring the right lawyer to help you through this difficult time, and it may all feel overwhelming. This is why it is important to know which questions to ask a prospective personal injury lawyer. Having the right questions to ask when your interview a personal injury attorney is the best way to make sure you are getting the best personal injury attorney for your needs. Schedule an appointment and conduct an interview with any firm you are thinking of hiring to take on your case. Make sure your questions are addressed before making a decision that can have such an effect on the rest of your life. 1. Will you have the time for me? The law is a service industry, and time is the lawyer’s stock in trade. You can have the smartest, most experienced attorney in the world, but unless they have the time to work on your case they cannot help you. Make sure your lawyer has the time and staff to properly handle your case, meet your needs, and ensure you get the service your case requires. This includes ensuring your attorney has time to communicate with you, take your phone calls, answer your questions, and ensure you are comfortable with each phase of your case. 2. What type of experience do you have? How many cases have you actually brought to trial? There is an old Roman saying, “If you want peace, prepare for war”. The best personal injury lawyers take this to heart, and know that the best results come from the best preparation. It is important to know what experience your attorney has in handling cases like yours, even more so if they involve highly specialized technical issues such as traumatic brain injuries. It is equally important to inquire about a potential lawyer’s trial experience. Insurance companies know which attorneys are willing to try cases and those are not. The ability of an experienced trial attorney can have a drastic impact upon the outcome of your case. Also many personal injury attorneys may outsource to a different firm if a case proceeds into litigation. Before you hire a lawyer ask if he or she will be handling the case to completion or be referring it to outside counsel. 3. What will be required of me? Good representation is built on the idea of a strong partnership. Your attorney should be able to outline exactly what your responsibilities will be throughout the case. This may include depositions, referring witnesses, making medical appointments, and communicating with your attorneys. Your attorney should be able to outline what your role in litigation will be, and answer any questions you have about your role in the process. 4. Who is responsible for costs? Lawsuits can be expensive, and costs associated with depositions, experts, investigation, or administrative fees can accrue quickly. Make sure you speak to any potential attorney about how these costs are accounted for, payment options, and who will ultimately be responsible. Financial obligations need to be thoroughly explained and laid out upfront so that you are not surprised at the resolution of your case, or even worse left holding the bag for expenses you were not prepared for. 5. What is your fee? Most personal injury attorneys work on a contingency fee, meaning the attorney is not paid unless the client is. Contingency fees are normally a percentage of the overall amount recovered and can vary based upon a number of factors including the type of case, the stage of litigation, and the experience of the attorney. Make sure to ask a potential lawyer how their fee agreement is structured, and have them explain how you will be impacted. 6. How long will my case take to resolve? There is no way to tell exactly how long a lawsuit will last as the facts of the case, attorneys on both sides, and the schedule of the court will have an impact on how quickly your case will proceed. However, your attorney should be able to outline the steps involved in litigation, and approximately how long cases similar to yours would last. Make sure your lawyer can tell you how long it will take. Litigation can often proceed more slowly than the client might anticipate, so your potential attorney should be able to accurately able to set expectations for you. You should also be able to ask your lawyer what measures they plan to take to keep your case moving along, and prevent defense attorney tactics from causing your case to languish unnecessarily. 7. What kind of clients/cases do you focus in? In order to find the best attorney for you, it is important to ask what types of cases or clients that your prospective lawyer primarily handles. Some lawyers handle a variety of types of cases, everything from personal injury to criminal to family law. Other lawyers may concentrate on personal injury cases, but split between plaintiff and defense work. Others, such as the attorneys at Brain Injury Law of Seattle, specialize in plaintiff’s cases with a focus on client’s who’ve suffered from traumatic brain injuries. Any attorney you interview should be prepared to answer questions about the types of cases they take, and their experience level with handling cases like yours. 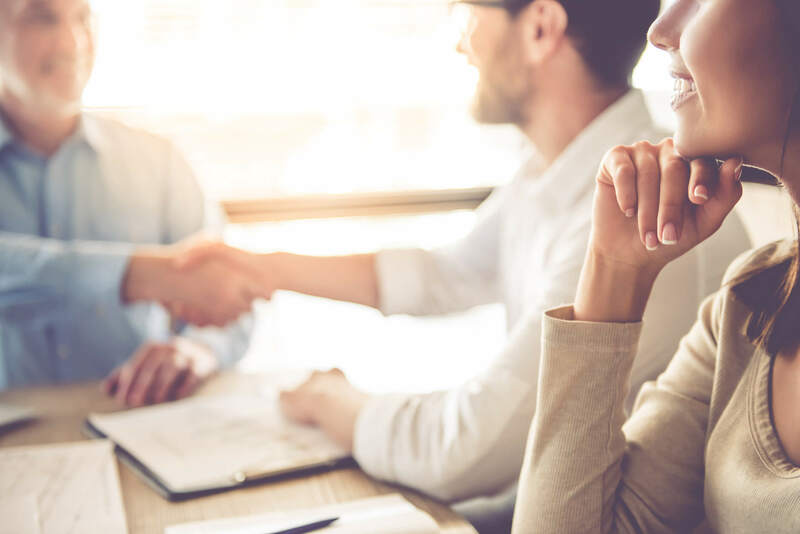 Only you can decide what type of lawyer you are comfortable with, so make sure you ask the right questions to ensure you have the representation to fit your needs. The attorneys at Brain Injury Law of Seattle are always eager to meet with you to discuss whether we are the best option for your needs, and to answer any questions you might have. Please contact us today and and we would be happy to meet with you and answer any questions you may have.